Upfest - The Urban Painting Festival - is Europe's largest free street art and graffiti festival, and it's back for another year! From 25th-27th July, over 250 artists will be painting in venues throughout Bristol, Bedminster and Southville. Artists flock from 25 different countries and from across the UK to paint live on 30,000 square feet of surfaces, in front of the 25,000 art-loving visitors. 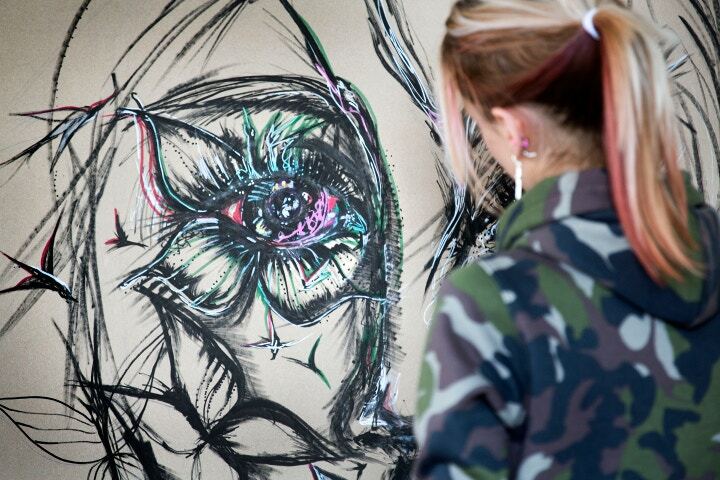 If that spectacle wasn't enough, Upfest also includes an affordable art sale, music performances and art workshops. That's where we come in. 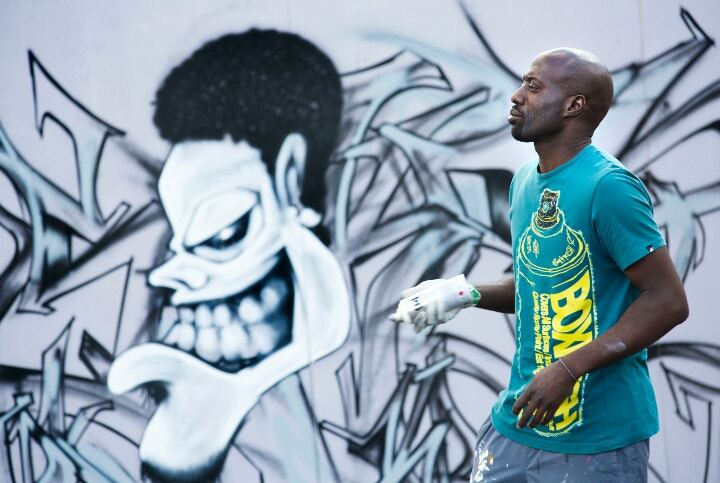 Cass Art will supporting The Workshop Zone at Upfest 2015, hosted at South Street Park in Bristol for the duration of the festival. Cass Art staff artists from the Bristol art shop - including street artist Myles Allanson - will also be hosting a workshop, 'Make Your Mark...With Paint Markers'. Using Posca Pens, you can come and explore these innvoative art materials and push the boundaries of what painting can mean. 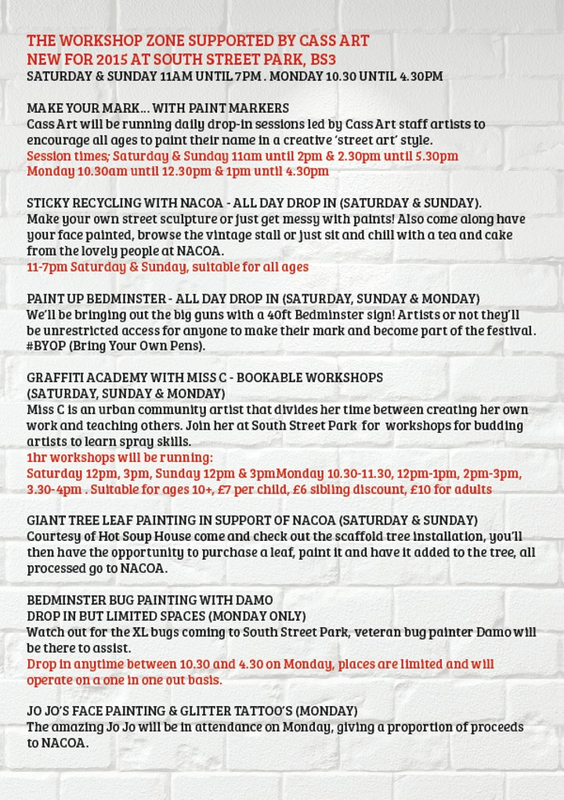 See below for a full itinerary below of all the fantastic workshops going on at Upfest. Upfest includes many different urban settings and involves lots of different galleries, so visitors are encouraged to explore the cities and find what's around the next corner. This year the festival had a fantastic 600 registrations, and 250 artists from across the globe have been selected to represent 20 different countries, covering all styles, genres and experience. You can view all the different artists involved here. There will be an explosion of colour from an eclectic mix of amazing international artists - it's certainly not one to miss! Upfest is free and will be running from Saturday 25th - Monday 27th July. You can download the festival map here and visit the Upfest website for more information. Visit Cass Art Bristol to ask any creative questions, or stock up on your own street art materials like Montana Gold Spray Paint and Paint Markers.